Since its launch in 2010, CliqStudios has helped guide more than 20,000 kitchen renovations with a customized kitchen plan designed just for you, offering affordable kitchen cabinet packages. Working with a team of kitchen experts, the company, per its about us page, notes that each designer helps you individually by creating detailed floor plans, photo-quality renderings and 3D lifelike walk-throughs, giving the customer “tremendous” value on the company’s top-quality cabinets, allowing them to see what their kitchen will actually look like before making the big purchase. How much do CliqStudios cabinets cost? The CliqStudios official website touches upon the costs and noted that the majority of their customers in 2017 paid an average of $5,000 and $13,000, with the average cabinet sale somewhere in the $8,000 range. 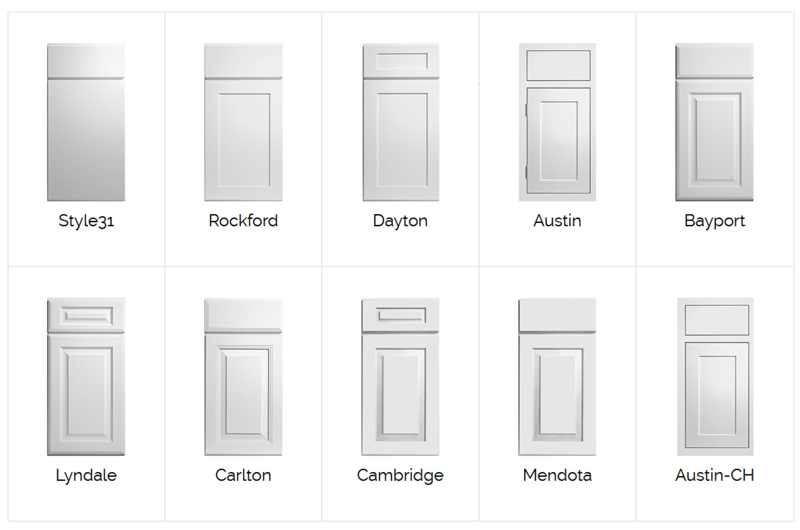 Since there are so many options available, the following factors can affect your price in the end: the cabinet door count, the number of drawers, the finish you choose, the size and the door design you pick out. With this information, the company will be able to provide a ballpark estimate, even without measurements. Delivery charges may exist, but if you spend more than $2,500, then the standard delivery is free. Anything less than $2,500 may add another $250+ to the shipping quote depending on your delivery setup. While this is just an estimate for the typical sized kitchen in the United States, the company does present three options to gather an accurate quote as there are so many factors that can affect your cost. Via this page, you can either contact the company directly for a free design a quote, or if you so choose, you can look for a ballpark estimate or even create your own quote via the official online catalog. Via AkronOhioMoms.com, the author noted that the prices, when she contacted them, started at $110.40 per linear foot. According to this positive review on PissedConsumer.com, a reviewer said he was quoted $5,200 out the door, including delivery for 16 Dayton Shaker style cabinets. In comparison to his $10,000 quote at Lowe’s and $7,500 Home Depot quote, not including installation, he eventually said the company did live up to the savings promise of about 25 to 55 percent as mentioned on the official website. How are these prices cheaper? According to the company, the prices of their cabinets are cheaper for a few reasons. For one, they bundle their entire cabinet process in one package, meaning they bundled the supply chain, design studio and online store all in one to maximize the savings for their customers. Secondly, the company manufactures their own cabinets, even going as far to source their own lumber, primarily focusing on the most popular colors and designs customers often choose. In comparison to other cabinet companies, they do note that there’s no other retailer, dealer or company marking up their product. With no overhead essentially or no middleman dealer and handling the entire process, from start to finish, this savings is then passed on to the customer. Promising top-notch cabinetry that includes all of the quality upgrades with the exception of the premium constructed semi-cabinets, the company does note in the article that if you’re looking for an exotic wood or luxury electrical modifications, then the company isn’t for you. One member on this BiggerPockets.com thread said the entire process, from start to finish, took about eight weeks to complete. This timeline included the design process, initial delivery and even a missing cabinet claim. The FAQ says to expect the same time frame, which says to allow about four to six weeks for production and delivery, but for the designer series, you should be prepared to spend up to seven weeks for the process. 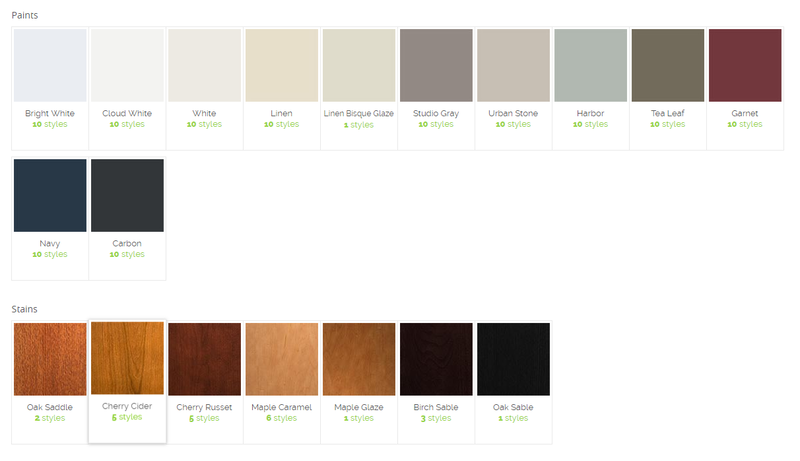 The company does not offer a showroom, but you can order free samples via the website if interested. For long-term care, the company recommends you wash and polish at least once or twice a year, preferably a light coat of a high-quality oil-based polish. Never use wax, polish or a paster that contains any silicone as this can build up, causing a residue that attracts dust that’s hard to remove. The company also states you should always refrain from using commercial detergents, powdered cleansers, sponge pads, “Magic” erasers, steel wool and spray polishes that contain silicones or petroleum solvents.